University of North Carolina Press, 9780807841235, 492pp. 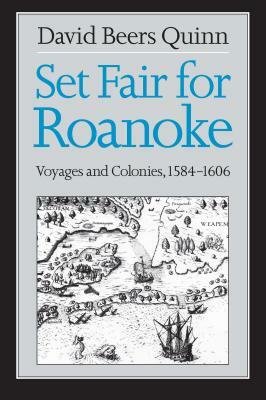 Quinn's study brings together the results of his nearly fifty years of research on the voyages outfitted by Sir Walter Raleigh and the efforts to colonize Roanoke Island. It is a fascinating book, rich in details of the colonists' experiences in the New World. Quinn "solves" the mystery of the Lost Colony with the controversial conclusion that many of the colonists lived with the Powhatans until the first decade of the seventeenth century when they were massacred.